Do you want to start running your own Block Printing Workshops and would like to get some ideas & knowledge on how to do this? Whether you have your own Creative Studio, Party Business, Activity Centre, Craft Club, WI Leader or Craft shed in the bottom of the garden this workshop could be for you. 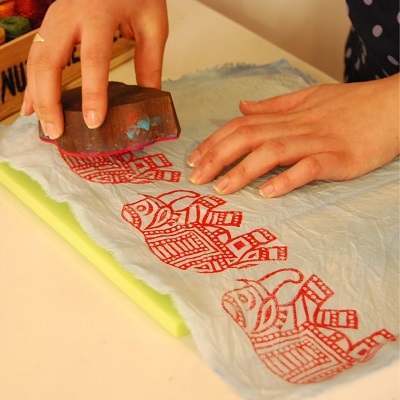 We want to teach those who want to teach Block Printing, helping you with anything you might need to get started. 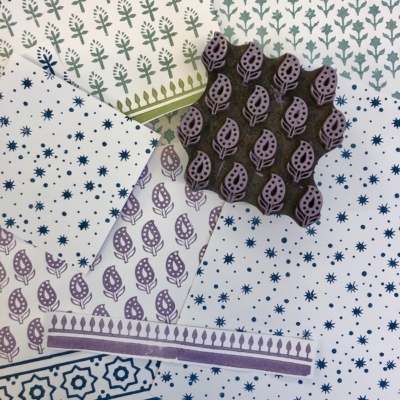 Customers can sometimes be under the impression Indian Block Printing is a little bit tricky, but we know that once you get started it’s extremely easy and highly addictive! The love for this craft is spreading quickly, it’s a crafty activity which appeals to all ages and all abilities of creativeness, men, women, boys and girls it is suitable for everyone! 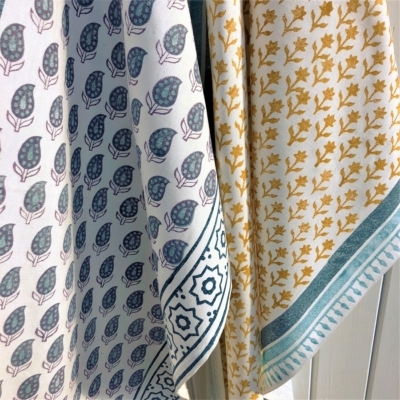 We get a lot of interest from customers wanting to run their own Block Printing Workshops, this is something we highly encourage as it helps us spread the love for Indian Block Printing! We spend a lot of time travelling the country exhibiting at various events selling block printing supplies and increasing the interest and demand for Block Printing Workshops, but we can’t always travel back to those places to run our workshops, which is why we are so happy if others want to! It maybe that you are wanting to run workshops as part of your business or as a new business, to friends and family or as the leader of a craft club. 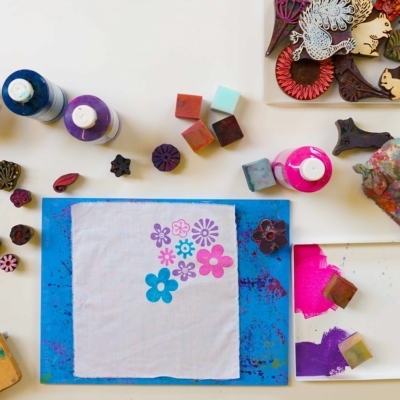 This workshop will be about teaching those who want to teach Block Printing how to run a workshop, whether it’s as part of your business, or for friends and family or as a craft club leader, We will ensure you know the correct way to block print to get the best results possible for your customers. Do not worry if you haven’t had much experience at printing we will be teaching you everything you need to know! Talking through & practicing all the different techniques when block printing. 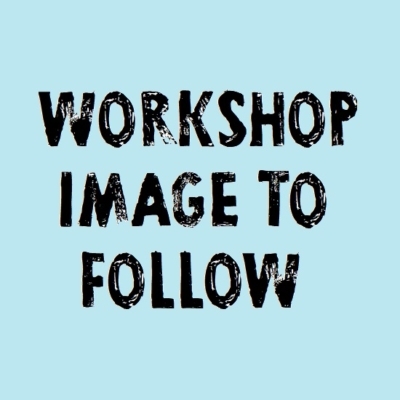 It will be a hands-on workshop where you will be printing yourself and trying out the suggested ideas and workshops, leaving with a variety of hand printed goodies which you can use as samples for your own workshops. Basically, we will be sharing with you our ideas, do’s and don’ts when it comes to running workshops, giving you the knowledge and confidence you need to run your own. If you are travelling from far we can suggest places to stay nearby, and if requested we can turn your visit to us into a 1.5/2-day workshop and you can spend the extra day in the studio with us doing more Block Printing using our full collection of Printing Blocks, Paints and Equipment. Spend the day with us making samples for your own workshops, as well as having a wonderful creative day! This additional half/full day would be an additional £65/£85. All materials will be provided within the cost of your workshop, along with plenty of Tea, Coffee and Cake. Please just bring a packed lunch. We will be offering bulk discount on supplies to anyone wanting to set up their own workshop program.